Blog Hoppin': King of "ing"
Greetings from Mrs. Johnson's First Grade!! 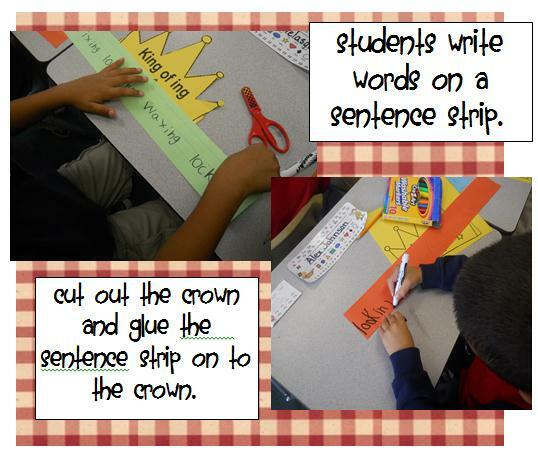 Our First Graders had fun learning the inflected ending "ing" today. We did this last year as well thanks to another one of our First Grade teachers. She found this activity buried in her teacher stuff from 10 years ago. 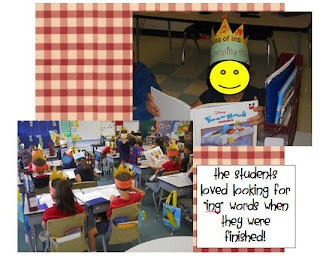 We love finding ways to make reading more fun for our students! Okay, I can spell..."construction" paper...GEEZ! If you would like to try this with your students, CLICK HERE to download the crown! super cute!!!! I love doing different stuff to make these word chunks stick!! Thanks! So much fun! Can't wait to teach -ing now! Love this idea- thanks for sharing it! Very cute. 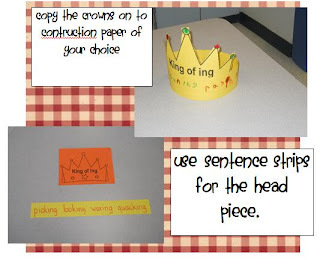 I have used crowns before a big sight word test and I place King Good or Queen Like on their crowns. The whole day everyone has to call them by their sight words. Just another idea to use with crowns. Your stuff is so cute.